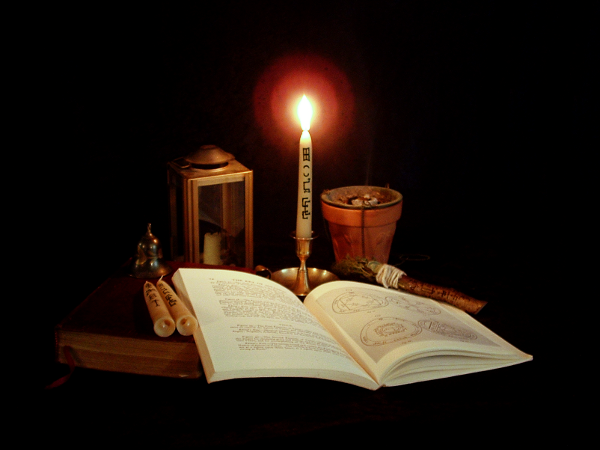 We offer spell candles for each of the Planetary Archangels as listed in the Heptameron and other Solomonic grimoires. 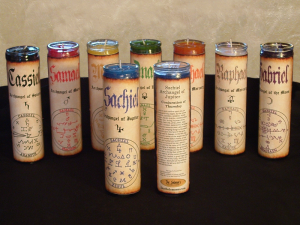 Each candle is “fixed” with Planetary Suffumigation and Planetary Oil. 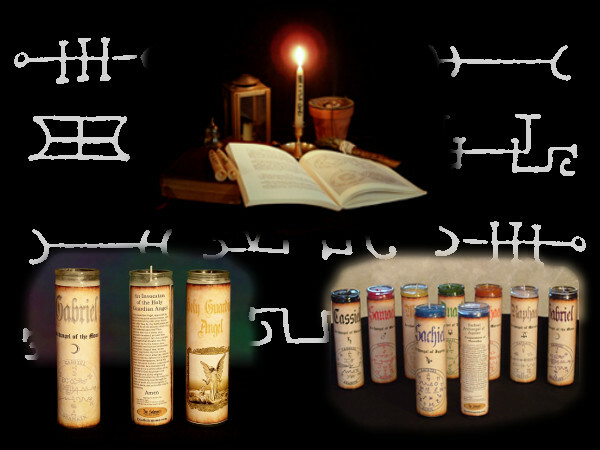 We also offer Holy Guardian Angel candles, “fixed” with Abramelin Incense and Abramelin Oil.